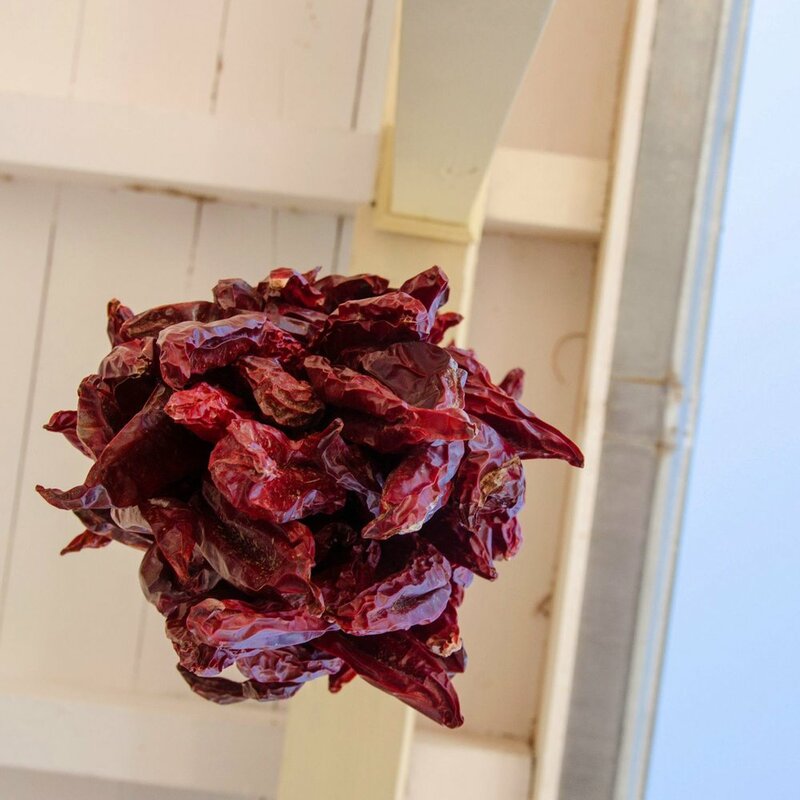 New Mexico was my trip-of-choice to celebrate turning 30 — I was enticed for all it had to offer, both in a natural setting and for a famous style of art and architecture. For five days, my fiancé and I explored the picturesque mountains tones and sculptural rock formations (see the outdoors imagery here,) as well as the towns famous in the region, pictured in this article. One of the things that I found most interesting about the trip was that the famous Southwestern culture that pulled me in the direction of New Mexico has a much more complicated past than I realized. Everywhere I travel I try to find a balance between what's promoted as a location's unique offerings by the tourist industry, and what you can find if you're looking in unexpected places. Particularly if you're short on time, it can be so much more possible to see the 'highlights' rather than getting deeper into the community. The Southwest seems to me particularly torn by this dichotomy. So much of the way the current tourist culture has been crafted was intentional, by city leaders starting in the early 1900s who carefully selected the Native American and Mexican cultural components that brought visitors to their towns looking to spend money on paintings of sunsets, turquoise jewelry, chili strings and bleached sheep skulls, pictures of pueblos. In the end I think it was more the former that I captured with my lens and my experience, but I don't necessarily think that's a bad thing. If you're lucky like I am and have the chance to go to many places, it's impossible to spend enough time everywhere you travel to get a nuanced view of a place. But that doesn't mean that you shouldn't go there and experience what you can of a place. Particularly (and I'm going to be sappy here as I've been a solo traveller for a long time and have just recently begun going on journeys with my life-travel buddy) if you're there with someone to share it with, getting the chance to share it with them and hopefully to see things you wouldn't if you were on your own. To help me feel a bit more connected to and aware of these cultural trends, and because I love to learn stuff, I've included some interesting facts that I researched after shooting these images. 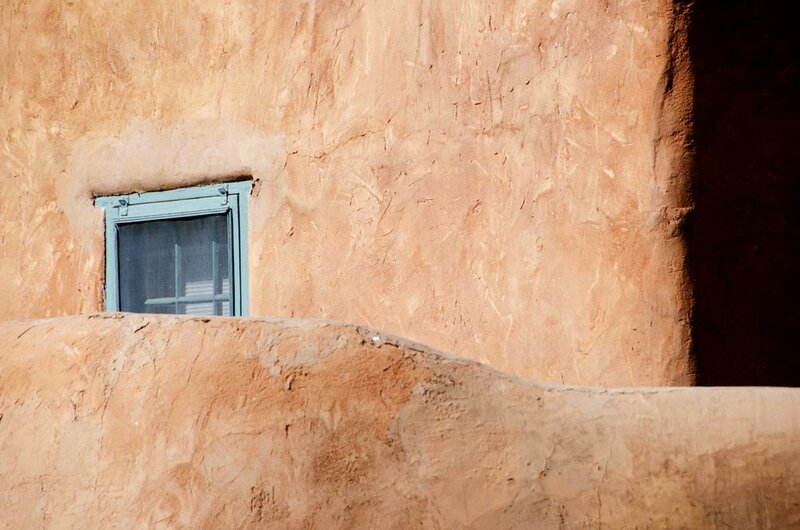 Pueblo-style mega hotels — Adobe is, contrary to its appearance, extremely durable and one of the oldest forms of building in the world. Santa Fe is designated a UNESCO Creative City in Design, Crafts and Folk Art. It's also famous for Georgia O'Keefe, who lived close by in Abiquiu and famously painted the landscapes of the area. Santa Fe has a whole museum dedicated to her work. Territorial Revival architecture, as pictured to the left, is modeled after Territorial Architecture, which was used from roughly 1846-1912, while New Mexico was still a territory and not a state. It was a blend between the Pueblo architecture native to the state with stylistic elements that the white settlers brought in to it. Santa Fe is the oldest state capital in the United States, as it was founded by Spanish colonists in the early 1600s. It's also the highest in elevation, at more than 7,000 feet. Taos is home to the Taos Pueblo, an ancient construction that is guessed to have been built before 1450 and is one of the longest continually-inhabited constructions in the United States. It's not pictured as it was closed when we were there — roughly 150 people live there now. Juniper berries, used to make gin! The term 'Pueblo' refers to a group of many different tribes (or the dwellings they constructed), many of which still live in New Mexico. The terminology for earlier peoples is 'Ancestral Puebloans' as the popular term 'Anasazi' does not reflect what they called themselves, but the term given to Pueblo tribes by Navajo and then adopted by Americans.